Amy Metcalfe, PhD, is an Assistant Professor in the Departments of Obstetrics & Gynecology, Medicine, and Community Health Sciences at the University of Calgary. She is also an active member of the Alberta Children’s Hospital Research Institute, the O’Brien Institute for Public Health, and the Libin Cardiovascular Institute of Alberta. 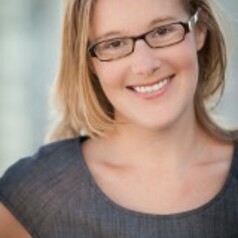 Amy’s program of research focuses on examining the impact of medical management of chronic disease in pregnancy on maternal and fetal health; evaluating the ability of alternative models of prenatal care to improve disease control and obstetrical outcomes; and assessing the risk of long-term disease complications following pregnancy. Underlying these key questions is a focus on validation of existing data sources for use in research and the application of novel statistical methods to answer clinically important questions.